The Holiday season is upon us! And here in Williamsburg, there’s so much going on to celebrate. Lucky for you, we’ve compiled the Ultimate Holiday Guide to all the special seasonal events so you don’t miss any Christmas festivities. Here we go! First off, there are several recurring opportunities available in Williamsburg throughout the entire season. Come explore Sparkleland in Merchant’s Square every week Thursday through Sunday. You can enjoy special performances and activities, or come meet Santa! Just next door is the Liberty Ice Pavilion, open daily for the perfect cold-weather past-time. Every Thursday and Sunday, head over to Charlton’s Coffeehouse for Christmas caroling, complete with burning cressets. If you have a love for the historic side, Colonial Williamsburg tours are perfect at this time of year. Check out their Christmastide in Virginia tour to learn about traditions and techniques of a colonial Christmas, or the Midwinter Stories presentations throughout the day. For some 17th century classics, consider the seasonal concert series at the Governor’s Palace where you can enjoy impressive musicianship and historic holiday-themed selections. We would be amiss to forget Busch Gardens’ Christmastown, Williamsburg’s own winter wonderland! Always a local favorite, you can experience the sights, sounds, and smells of holiday comfort and take in thousands of Christmas lights! There are, of course, some special events throughout the season as well. Here’s the ones we’re most excited about! -November 24: The annual Tree Lighting party, complete with free hot chocolate and roasted chestnuts, of course. -December 1: The Williamsburg Christmas parade, a must see! -December 1-2: Williamsburg Symphony Orchestra Holiday Pops concert, conducted by Janna Hymes. -December 2: the ever-popular Grand Illumination! It’s a well-known Williamsburg tradition, including performances by the best local musicians and a beautiful fireworks display. -December 15: “At Christmas Be Mery”: A Special Evening at Historic Jamestown, where you can experience traditional early-English traditions, including the firing of the guns and a seasonal bonfire. 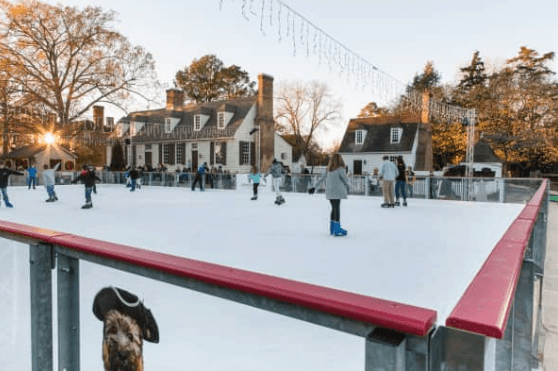 It’s certainly no secret that Colonial Williamsburg is known for it’s breathtaking and naturally-made decorations, and this year is no exception. 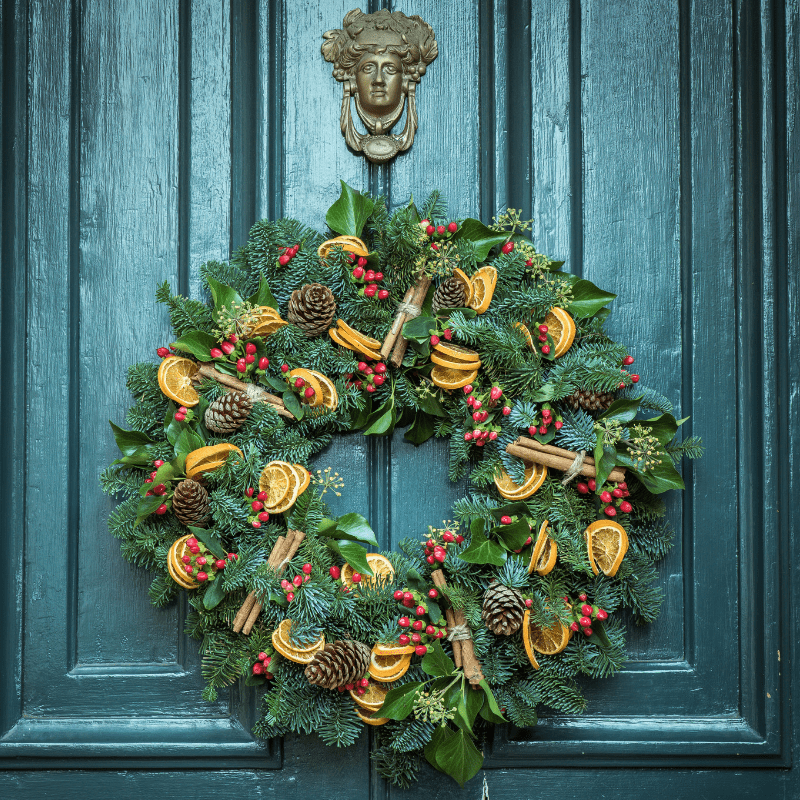 The streets and buildings will soon be adorned by garlands and, in particular, wreaths made locally from natural materials to make a beautiful seasonal landscape. You can read all about the history of this tradition here, then take to the Williamsburg streets to experience this unique Christmas decor. You can even take a tour around such houses with this special Colonial Williamsburg tour. We take such pride in these homemade decorations, in fact, that this year the Christmas Homes Tour is in it’s 58th year! This unique tour includes entry to several historic buildings like the Nelson-Galt House, Edinburgh Castle Tavern, and Benjamin Waller House. It’s a special event over the course of December 1-2; click here for tickets! This recipe is from The Pioneer Woman, click here for the whole post. 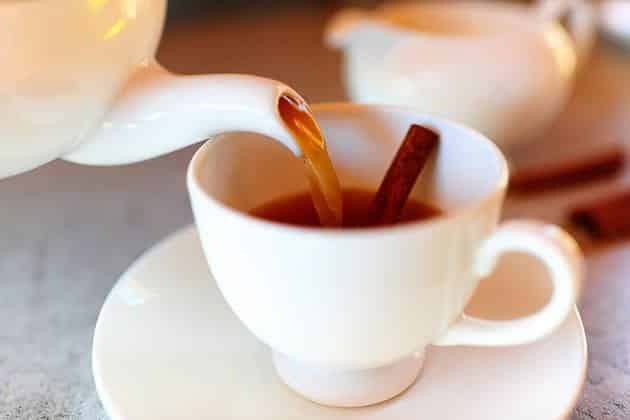 Place cinnamon sticks, ground cloves, allspice berries, orange peel, and lemon peel in a medium saucepan. Pour in maple syrup and apple juice, then bring to almost a boil. Reduce the heat to its lowest setting and simmer for 30 minutes. Remove from heat and serve in mugs. We hope this Holiday Guide sets you up nicely to experience all the Williamsburg area has to offer this season! It can be easy to get wrapped up (no pun intended) in Christmas crazy, so take a little time to experience the beauty of the area and the joy of the season. It only comes once each year, here’s to the loveliest year yet! What’s your favorite way to bring in the holiday season? Let us know below! This entry was posted in Christmas, Colonial Williamsburg, Events, Holidays, Merchants Square, Recipes, Things to Do, Williamsburg Area and tagged Christmas, christmastown, colonial williamsburg, grand illumination, holiday, Jamestown, sparkleland, tree, tree lighting, Williamsburg, wreath by admin. Bookmark the permalink.